Bug. 1/c La Verne Hamby, son of Mr. and Mrs. C. E. Hamby, attended Frederick High School. Entered Service in Dec. 1939, trained in San Diego, Cal. 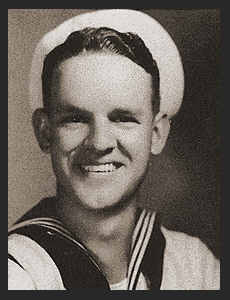 ; served in Hawaii, Australia and the Philippines; has been missing in action since March 1942.